Because all of these it perfectly fits in all the requirements for its use in pharmaceutical packaging which makes it their primary material – the one that is used in direct contact with the product, involving it and keeping it safe. Aluminium pharmaceutical foil can be easily coated, laminated, printed, cut or split, cold formed and embossed which qualifies it as an extremely versatile tool for the packaging designer. Guaranteed efficiency in blister lines with proven processability. High-quality medicines need packaging in which they are safely protected from environmental influences, oxygen and moisture. It is only in this way that the ingredients retain their effects which they are to develop when ingested. If you need medical and pharmaceutical containment, All printed aluminum foil can help. Our coated aluminum foil products ensure that packaged pharmaceutical products like pills, capsules and tablets are safely secured. In addition, our custom coated and laminated foils help protect from moisture, light, oxygen and contaminants. These aluminum foils are used in a variety of medical and pharmaceutical applications. 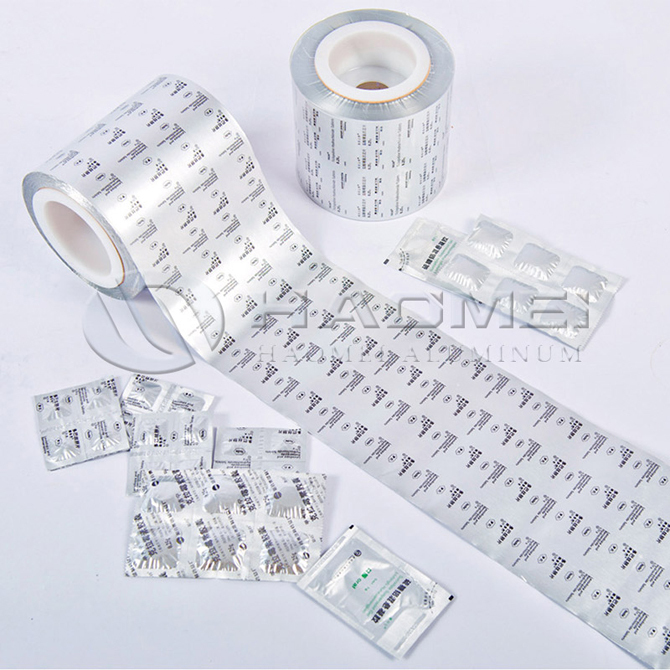 Tagged aluminium hot seal foil, aluminium pharmaceutical foil, printed aluminum foil. Bookmark the permalink.